Earlier this February the Counter-Strike: Global Offensive dev team removed Dust2, an iconic Counter-Strike staple, from their active map pool. Forever tinted by a comforting nostalgia, the move still received a mixed reception from the community at large. Many had held the opinion that the map was, in some senses, “a solved problem,” and that there were no new stories to be told on the aging battlefield. Nonetheless, on October 10 the CS:GO devs began teasing the beta release of the map’s newest iteration. 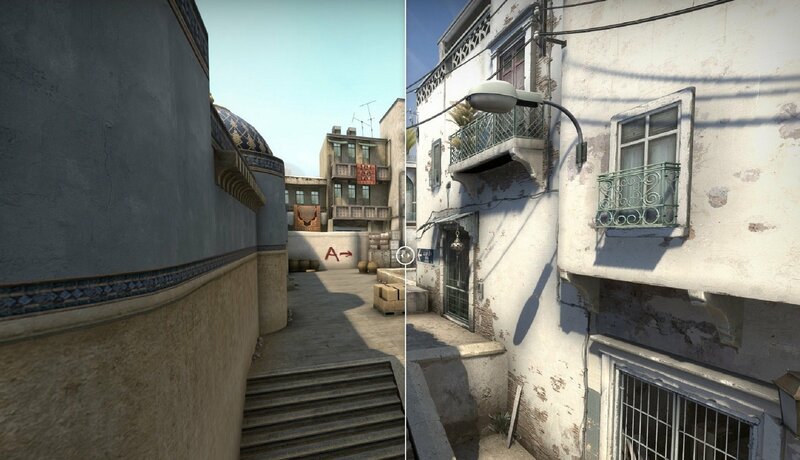 Most obviously, Dust2 has received a significant tune-up in the graphics department. The map has been laid out with all new textures, giving the space a more lived-in narrative. The objectives have also received a fresh injection of flavour, with the A and B bombsites renamed as “Hotel Aurore” and “The Kasbah” respectively. In a blog post showcasing the face-lift and its many features, the dev team outlined their goals regarding the Dust2 rebuild: to improve player readability throughout the map, to refine movement around the world including cover, and to upgrade the visuals to be more in line with modern maps. From the looks of things, this meant touching up spots like the torched cars over by Long Cross, and brightening up the whole place to look a little more like Nuke and Inferno. Whether or not Dust2 will see competitive play anytime soon remains to be seen. For the time being however, devotees and die-hards are able to give the new old girl a spin via CS:GO’s beta depot. After locating the game in your library right-click properties, click the tab for the beta and then opt into 1.35.0.7-rc1. Now grab your M4 and hit the bricks!